Joints are the places where bones connect, allowing our bodies to move. In healthy joints, there's a firm rubbery coating called cartilage at the end of the bones to act as a cushion. The body is designed so that there's enough "empty space" around joints to allow the bones to move freely. If the tissues around the joint become inflamed, that space is made smaller. Movement hurts when bones are pushing up against tissue instead of moving freely. Stress is a normal part of life, and our bodies are designed to cope with it. For our ancient ancestors, stress was intense but intermittent- such as escaping from dangerous predators and searching for food. Modern life often subjects us to constant, lower-level stress that piles up and taxes our nervous systems. Eating the wrong foods can also be hard on the body. Adhering to the blood type diet enables your body to work more efficiently. LIKE US ON FACEBOOK MY TYPE STORE. You have heard it in nearly every commercial for weight loss before: diet and exercise work hand in hand. Although most of these plans mention the correlation, few actually personalize both experiences to benefit you. Your Blood Type is the key to not just the foods you eat, but also the activities that best suit your body. Simply put, allergies are the body's natural response to fight off something it doesn't like or understand. These substances can vary drastically. Some allergies are food based, which is why certain people can’t eat peanuts while others can. Seasonal allergies, like I mentioned above, usually stem from pollen that trees, grasses and other plants produce in spring when they are returning to life after a winter of dormancy. There are countless other allergies that exist too, including sensitivity to pet dander, mold, latex or insect stings. Despite the range of allergies that exist, one thing unites them all: the ability to protect yourself against them with the Blood Type Diet. Environmental allergies can be caused by pollen, animal dander, smoke, or chemicals such as air fresheners or pollution. Pollen is the egg-shaped male reproductive cell of flowering plants. It is typically smaller than the width of a human hair and often carried by the wind from one plant to another. Everyone gets tired sometimes, but fatigue is much more than that. Many different things can cause fatigue; among them are immune system malfunction, stress, and toxicity. Following the Blood Type Diet and Exercise recommendations can relieve fatigue. You’ll be cutting out harmful lectins that make your body less efficient, as well as foods you can’t digest properly. Learning how to exercise “just right” is important too. Over exercising will cause cortisol levels to spike in As, increasing stress rather than relieving it. Meanwhile, Type Os tend to thrive on vigorous aerobic exercise, and Bs and ABs fall somewhere in between. Those coping with chronic fatigue need to start slowly and avoid over exertion, regardless of blood type. The holidays are over! Now it’s time to slow down a little and get back to our normal routines. One of the first thoughts that comes to many people is, “I need to lose all this holiday weight!”. Losing weight and becoming fit are two of the most popular New Year’s resolutions. The key to achieving a weight-loss goal is to make lifestyle changes that can be maintained for the long run, and not to focus on short-term solutions. Now that the 2016 is here, you will presumably, begin eating Right for Your Type again… And here are a few additional tips to get you back on the right track and sticking to your New Year’s resolution. For a generally healthy person, Dr. D’ Adamo suggested a one-week program of whole, organic foods and supplements and against starting a fasting routine. Fasting is one way to detox your body, but probably not the best way. Dr. D Adamo only suggest fasting if you are under the guidance of a physician. While entirely avoiding food will naturally flush your body of toxins, doing it without professional guidance often has negative effects. This process is simpler and much easier to follow and doesn’t carry the risks of fasting. Eating right for your blood type provides the foundation for optimising your energy levels and fighting fatigue. These food guidelines, when paired with lifestyle adaptations, supply additional support and help beat the effects of fatigue by strengthening your immune system and improving metabolic and cellular fitness. Jump start your weight loss program or conquer a diet plateau with Dr. Peter J. D'Adamo's revolutionary Blood Type Diet and boost your metabolism, balance your blood sugar, and repair past lectin damage with a quartet of products designed by Dr. D'Adamo that provide additional supplementation support and assist you in reaching your weight loss and lifestyle goals. When digestion, absorption, and elimination are maximized, you will notice a lot of other symptoms will be eliminated. Indigestion can be attributed to a great many causes. Its discomfort, not only in the stomach, but in the areas of absorption and elimination, creates a general “not feeling very well” condition to the client. Ninety-nine percent (99%) of the people working and walking around have a digestive problem, which could easily be eliminated. We will see how enzymes can return the digestive system to normal. As we head into the holidays and the end of the year, our stress levels increase and our ability to manage our diets gets compromised with eating out, holiday treats, and all the family foods associated with the holidays. It’s very likely that you’ve strayed into avoid territory on more than one occasion, and it’s a good time to revive your body with a cleansing blood type diet detox program this fall. Start by choosing only those foods that are considered beneficial and highly beneficial for your type. If you need some menu guidance, refer back to your Eat Right For Your Type Book. . By eating beneficial foods and taking supplements that are compatible with your blood type will be cleansing and detoxifying your body and allowing all the body’s systems to function at their very best. Do you think knowing your blood type is only important in the event of a transfusion? Think again! Research indicates that your blood type is a key genetic factor that influences many areas of health and well-being. Throughout your life, you’ve probably observed that some people tend to lose weight more easily, while for others, their weight is an ongoing battle. Or wondered why some people are plagued by chronic illness while others stay healthy and vital well into their advanced years. Very simply, the answer is in your blood type. During the holidays, you’ve probably been eating and drinking too much, and it’s likely that you’ve strayed into avoid territory on more than one occasion. 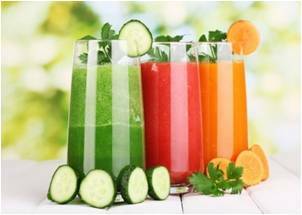 Now that the new year has begun, it’s a good time to revive your body with a cleansing detoxification program. weight loss program or conquer a diet plateau with Dr. Peter J. D’Adamo’s revolutionary Blood Type Diet paired with his Ultimate Metabolism Pack and exercises best for your blood type. We all like to go all-out for the holidays eating cookies, cheese, casseroles and in the days (scratch that, weeks) we spend celebrating the season, our bodies are on sugar and fat overload. Dr D’Adamo’s latest book is already on your computer. Realize the promise of Personalized Nutrition with Dr. Peter D’Adamo’s new computer software program. 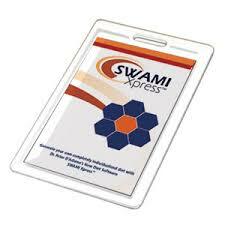 SWAMI Xpress™ generates a completely individualized diet plan just for you. Now Dr Peter D’Adamo’s Swami Xpress™ enables you to generate an estimated 50-page personalized dietary report out of your printer after 12,600,000 individual calculations (performed on 225 individual nutrient values found for each of 800 different foods, all matched to the results of your measurements and intake facts). • SWAMI XPress™ features an easy-to-use, well-structured user interface, web-based, so you are always using the latest version of the software without the hassle of installation. • Downloadable user guide and online help with information screens make getting your information into SWAMI Xpress™ a snap. • Print out a beautiful, personalized diet plan. Plus free access to Dr. Peter D’Adamo’s unique Meal Planner and Cookbook Creator software, which will allow you to create individualized weekly meal plans, shopping lists, and a personalized cookbook containing recipes that synergize with your diet! Have you done your ACUGRAPH TEST ??? It’s FREE for Members ! With S$28 Membership Fee to become My Type Member and nett purchase of $200 on supplements (for 1 month accumulation of purchase) . 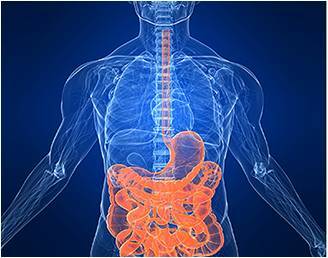 Do you want to find out the qi or energy level in various organs? ü Do you want to know which supplements is suitable to take for your current situation? ü Wonder which organs needs attention? Etc…. Check it out here!! We have a new system to assist you! Advanced technology combined with TCM (Traditional Chinese Medicine) theory. Non-invasive Acupuncture test). By appointment only. We deliver your supplements to your door steps. Supply running low or finished but cannot find time to come to the stores ? Free delivery with minimum nett purchase of $200 on supplements. Local delivery only. Free delivery is at a min charge of $10 for birthday buy. Delivery Service is on every Tuesday & Friday. No matter what GenoType you are, stress does bad things to your body and your metabolism. Here are some stress-busting tips specific for your GenoType. Hunter: Great news, Hunter: Your Superfoods help encourage stress relief! Plant sterols and meat-product amino acids control stress both physically and emotionally. So stick to your GenoType Diet recommendations and sock it to stress for good! Gatherer: Controlled breathing, like that performed in hatha yoga, is a great stress buster for Gatherers. Just be sure to add a resistance component to your hatha yoga by seeking out an active class. Teacher: A walk through a park or along a beach is a great stress reliever for you. Teachers are naturally drawn to and inspired by nature. Nurture this relationship to find inner calm. Explorer: Want to bust stress, Explorer? Then break a sweat! Vigorous walking or a fun aerobics class will help you remain cool, calm, and collected — not to mention fit and toned! Warrior: Combat one of your main stress hormones, cortisol, by learning to quiet your mind in meditation. Not only will meditation help you keep off abdominal fat, but it will also help with memory by maintaining a healthy metabolism. Nomad: Your strong mind-body connection makes mental practices a great way for you to calm your mind and relieve stress. Try closing your eyes and visualizing your stress melting away, Nomad. Picture a calming place or object and use your mental capacity for visualization as a stress-relief tool. Are You a PROP Taster? Being able to taste (or not taste) the chemical known as propylthiouracil (PROP) can reveal a lot about your GenoType's metabolism. Learn more here. Hunter: Hunters have an intense reaction to PROP test strips, meaning you're a super-taster. This trait exemplifies your amazing metabolism, which makes it easy for you to remain slim when you follow the GenoType Diet. Gatherer: You're probably unable to detect PROP test strips as Gatherers are typically nontasters. This is an indication that your thyroid is underactive. Be sure to stick to your Gatherer GenoType Diet in order to decrease fluid retention and muscle weakness and give your metabolism a much-needed boost. Teacher: Your high metabolism is exemplified in your ability to taste PROP test strips. Most Teachers are at least tasters and some are super-tasters, depending on the level of thyroid activity. It's no wonder your body-fat percentage is so low. Explorer: Explorers are often PROP super-tasters, meaning that PROP test strips taste strongly foul to you. This PROP-tasting ability is indicative of your high metabolism, which keeps fat from being stored on your body. Warrior: Since Warriors have the tendency to be lean in youth and struggle with their metabolisms as they age, they have an interesting relationship with PROP test strips. You either cannot detect PROP (slow metabolism), or you are a super-taster (high metabolism). Try it out for yourself to see what your metabolic rate is up to. Nomad: Most Nomads are PROP tasters, signifying a well-functioning thyroid. Although your BMI may be higher than average, your metabolism is working properly — that extra body weight comes from large bones and muscles. Certain carbohydrates are healthy and nutritious for your GenoType. Learn which types you should emphasize. Hunter: Your Hunter sensitivities necessitate limiting your intake of gluten- and lectin-containing carbohydrates. Instead go for buckwheat, millet, quinoa, and basmati, brown, and wild rice. Gatherer: Your thrifty genes do well with low-glycemic carbohydrates. Artichoke flour, amaranth, barley, oat bran, and teff are great choices. Aim for half a cup of grains two to three times a day. Teacher: Teachers should limit their intake of carbohydrates that cause bacterial buildup. Up to five times daily, go for a half-cup serving of carbohydrates like flaxseed bread, kudzu, lentil flour, rice flour, and sorghum. Explorer: Explorers should emphasize carbohydrates like amaranth, Essene bread, fonio, millet, and quinoa, consuming them two to three times a day. In addition, a variety of rices are recommended for your diet, including basmati, brown, white, and wild. Warrior: Improve the white lines on your fingerprints by eating low-glycemic carbohydrates like barley, kudzu, lentil flour, poi, pappadam, rye, and wheat bran. Aim for two to three servings a day. Nomad: Like Hunters, you will want to limit your intake of lectin- and gluten-containing carbohydrates. Nomads do well with flaxseed bread, fonio, Job's tears, larch fiber, oat flour, and poi. A half-cup serving two to three times a day is recommended. Stocking your cart can be a cinch if you keep the central focus of your GenoType in mind. See which shopping strategy will work best for you. Hunter: You're a Hunter, and that means one thing — meat is your primary source of nutrition! Spend time at the meat counter asking for the freshest cuts, and try something new. It's the modern way to mimic your ancestors' carnivorous diets. Gatherer: You're all about the protein, Gatherer. Bring along a list of your Superfoods and start your grocery shopping at the meat, poultry, and fish counters. It's a surefire way to reprogram your thrifty genes. Teacher: You're so in tune with nature that your shopping path is a no-brainer. You're going to spend most of your time in the fresh-produce department, Teacher! This will ensure you get the phytonutrients your body needs to keep your anticancer defenses up. Explorer: Lucky you, Explorer, your GenoType finds something to benefit from in nearly every food group. So bring along a list of your GenoType Diet Superfoods and Toxins and hit the meat, poultry, fish, produce, and bakery departments. You'll find a great variety of food awaits you! Warrior: First stop, fish counter. Here's where you'll stock up on essential omega-3 fatty acids. Then head to the produce department where you'll reap the phytonutrient benefits of fresh fruits and veggies. Round things out with healthy oils and grains and your shopping trip is complete. Nomad: Your omnivorous diet means that the sky's the limit when it comes to grocery shopping for the Nomad's GenoType Diet. Just shy away from products containing lectin and gluten to keep your energy up and boost weight loss. Have diets failed you? Weight –loss strategies that work forYour family or your friends won’t necessarily work for you.Each Geno Type has unique concerns regarding weight And metabolism – which is why each Geno Type needs itsOwn diet The Geno Type Diet addresses your individualGenetic needs and works with your body to help you reach Your personal weight-loss goals. Your GenoType has a handful of weaknesses to watch out for. Read on for one specific vulnerability and how to combat it. Hunter: Given their amazing energy levels, Hunters need to take extra care of the organs related to mitigating stress. Sure, you can go, go, go — but properly functioning adrenal and pituitary glands require periods of rest and calm after physical exertion. So be sure to find downtime in your hectic day. Gatherer: Your metabolic thriftiness can cause you to eat for the wrong reasons, Gatherer. When you eat, your body tends to remove nutrients from the bloodstream so efficiently that you feel the need to eat again and again without satiety. But by getting the right foods for your GenoType, you are helping to combat this cycle and teaching your body to store only some — not all — of the calories you eat. Teacher: You're a detail-oriented person, Teacher. But if you don't get the proper diet, sleep, and stress relief, this attention to detail can turn into a compulsive disorder. Be sure to stick with your GenoType diet and participate in calming activities that can help quiet your mind. Explorer: If you suddenly become sensitive to a certain fat, or find your skin breaking out, it could have something to do with your liver. Explorers' livers spend a long time processing drugs, caffeine, and other toxins. By following the GenoType Diet, however, and eating only the best foods for your system, you are ensuring that your liver gets the break it needs. Warrior: Perhaps a Warrior's greatest weakness is the tendency to age quickly once middle age has been reached. Your metabolism, which worked hard all throughout youth, can abruptly stall without the right fuel. So to help your body age gracefully, be sure to eat the right foods for your GenoType. Nomad: As you age, it's important to maintain proper nitric oxide function — which can be done by eating the right foods for Nomads. With the wrong diet and lifestyle choices, you become susceptible to problems with your immune and circulatory systems as well as with your brain function. One golden rule that every GenoType should heed: Never go to bed stressed. Here are a few tips to set your nighttime mind at ease. Hunter: Creativity is a great way to ease a Hunter's tension. So put your detail-oriented mind at ease by sketching. Just grab an artist's pad and pencil and spend time in the evenings letting your inner creativity (and stress) out onto the page. Gatherer: A hot sauna is one of the best ways for Gatherers to soothe their nerves. To get the steam benefits without having to venture to the nearest health club, try a nice hot shower before bed. Let the beads of water wash away stress for a good night's rest. Teacher: To balance out your daytime stress levels, try to tap into your inner spiritual energy through a relaxing yoga or tai chi DVD. Realigning the balance will help your body settle into the nighttime lull of sleep. Explorer: An Explorer's accident-prone nature makes relaxing with a funny movie or sitcom in the evening a great, safe way to unwind. You'll laugh away worries without any unexpected "oops" moments that could add additional stress. Warrior: If you're feeling wound up in the evenings, try something that has been shown to have a soothing effect on a Warrior's stress level: meditation. Find a quiet spot, close your eyes halfway, and focus on a mental picture that calms your nerves. You'll be ready for z's in no time. Nomad: If you've got something on your mind before hitting the sack, it's best to talk it out with a friend, family member, or partner. Clear your head and you'll allow sleep to drift over you much easier. Every GenoType is physically different. And those variations are perhaps greatest illustrated in the very different ways that each GenoType's mind works. See how your brain is wired and how you can use that to your advantage. Hunter: Your brain is wired to notice the details. In other words, Hunter, nothing gets past you. Use that gift to notice the positive changes in your body since following the GenoType Diet and you'll be even more motivated to continue on this healthful journey. Gatherer: Your mind is a machine, Gatherer — able to concentrate on the trickiest work for prolonged periods of time. In fact, you're probably a math wiz. This extraordinary capacity will serve you well in your career, making you a happy, healthy success in life. Teacher: Your Teacher's sharp, analytical mind gives you the insight to see the big picture in life. You don't get so caught up on minute details that you miss the overall trend of where your life is going. This gives you a great advantage, since you can easily adjust your direction if you see yourself getting off track. Explorer: Your mind's focus is on changing perceptions and rethinking concepts, making you a great entrepreneur. Don't be afraid to step out with a seemingly outrageous plan or idea. Chances are your way will work perfectly! Warrior: Your mind works like a computer, Warrior — quick and nimble. Use that skill to compute exactly where you are and where you want to be. Then use your bullheadedness to get yourself there. Nomad: Your mind is rational and witty, which is why you are such a great communicator. Use this ability to lend your ear to others. Spreading your optimism can make the world a better place. The Diet Built for Your BodyIf you’re trying to lose weight, it’s important to choose theFoods that work best with your body to help your reach your goals.The Geno Type Diet provides you with hundreds of delicious recipesCreated specifically for your genetic makeup.And you’ll get customized daily meal plans and aFitness program that will maximize your results! You may naturally dislike some of your GenoType Toxins. But sometimes a very common food is among your list of Toxins to be avoided. See which common food you should stay away from. Hunter: Perhaps the toughest Hunter Toxins to steer clear of for you might be pork, bacon, and ham — quite popular among American cuisine. But since turkey, chicken, and beef are among your Superfoods, you should be able to meet your protein quota without a problem. Gatherer: Growing up, one of your Toxins might have appeared in your diet often: peanut butter. But now that you know this common spread is a Gatherer Toxin, substitute it with a similar product like almond butter. You might even like it better! Teacher: Butter, margarine, and canola oil all make the list of Toxins that Teachers should avoid. But not to worry, olive oil is a Teacher Superfood, which can easily replace these common sautéing agents in most recipes. Explorer: Ketchup and mayo are two Toxins that Explorers should leave off their sandwiches. Instead, use spices and herbs to add kick. Cilantro, fennel, garlic, and thyme should do the trick. Warrior: It might be hard to avoid the potato for some. But since this common starch appears on a Warrior's Toxin list, avoiding it is recommended. Round out your meal with a leafy green like kale, collard greens, spinach, or Swiss chard instead. Nomad: For Nomads, cinnamon is a Toxin that should be avoided. And while the zest of fresh cinnamon does taste great in many beverages and dishes, you can safely substitute nutmeg as it's one of your Superfoods and just as pungent! If incorporating exercise into your life is a tricky challenge, perhaps you need a little push. Try these physical activity goals for one week to see if they help you get moving. Hunter: As a Hunter, you require intense daily activity to maintain your top level of fitness and health. For your goal, dedicate about 45 minutes a day to vigorous walking. When you feel that famous Hunter energy burst kick in, step it up to a run. Just keep the pace brisk so you don't lose interest. Gatherer: A good fitness goal for a Gatherer is to alternate hatha yoga with aerobics every day for six days. Get DVDs or find classes at your health club. And take one day off for rest to avoid burnout. Teacher: Teachers can keep their metabolism in balance by participating in 40 minutes of activity at least four to five days a week. Aim to balance tai chi workouts with alternating days of resistance training this week to see how you feel — you'll probably have tons of energy for your two days off! Explorer: Alternate days of Pilates and aerobics classes for four to five days this week. Be sure you sweat out the toxins for an effective workout. This goal will keep you fit and cleansed — see for yourself! Warrior: Warm up to a fitness routine with four days of stretching and strengthening exercises this week, Warrior. Try 30 to 40 minutes of hatha yoga on two days, and light resistance training on the other two. Nomad: On three days this week, take a vigorous walk. Once you have that down, boost your efforts by carrying 2-pound weights along with you on two additional walks. If this goal seems too easy, next week boost your weight level to 3 to 5 pounds, according to your fitness level. Some GenoTypes can handle butter and margarine, while others should steer clear of them. Find out here whether these popular spreads are in your GenoType's diet plan. Hunter: Good news for butter-loving Hunters: Your GenoType can handle butter and ghee (clarified butter) to its heart content — you can indulge freely. Margarine, however, is a Toxin for you, so why not go for the real thing? Gatherer: Top your toast with ghee up to four times a week, Gatherer. If you prefer butter, go ahead and see how your body does with it. It's a neutral food that you might be able to tolerate. But if health problems arise, go back to ghee for good. Teacher: Go ahead and indulge in ghee as often as you desire, Teacher. And while butter is on your Toxins list, it's a food that you can reintroduce into your diet in small amounts after three to six months to see how your body will react. Explorer: Explorers can use ghee freely — it's a Superfood that will optimize your metabolism. To boost your health and supplement weight loss, avoid butter and margarine. Warrior: Butter and margarine are both Toxins that may interfere with your metabolism, Warrior. Instead, stick with one teaspoon of ghee on occasion to increase energy and optimize your weight. Nomad: Say yes to ghee and butter — two Nomad Superfoods that will help optimize nitric oxide production and improve your metabolism. Just steer clear of margarine so you can reap the proper benefits of these good oils. A cocktail at a party or beer and wine with dinner is a habit for many. Yet alcohol is not well tolerated by certain GenoTypes. See if you can imbibe safely. Hunter: Beer, wine, and liquor are Toxins you should avoid, Hunter. To help keep your tendency toward inflammation at bay, stick with mocktails made out of cranberry, grapefruit, or pineapple juice instead. Gatherer: Eliminating toxins is a Gatherer's M.O., and drinking beer, wine, and liquor is not the way to do it. Stay away from the hard stuff — you're much better off with a natural diuretic like lemon water. Teacher: While beer, liquor, and white wine are among those beverages on the Teacher Toxins list, red wine is an option that's neither harmful nor beneficial for you. But you may be better off getting your kicks in the form of Superfood beverages like ginseng or green tea. Explorer: A well-functioning liver is the key to keeping Explorers free of toxins. That's why you should avoid the liver-damaging properties of any alcohol. Detox with antioxidant-rich beverages like pomegranate juice and green tea instead. Warrior: Since a Warrior's GenoType Diet is Mediterranean-based, it's no wonder that red wine is one of your Superfood beverages. Enjoy a nice robust red once in a while with meals, and let those antioxidants help slow down your aging process. Nomad: Do you prefer beer or red wine? The great news is that you can take your pick, Nomad — both beverages appear on your Superfoods list! Just stay away from distilled liquor and white wine to maintain an optimal metabolic rate and avoid inflammation of the liver. Sometimes a component of your GenoType Diet will be hard for you to adopt. And that's okay. Here's how to master a tricky change — in your own time. Hunter: Hunters are especially prone to burnout if exposed to prolonged stress. And while following a diet is bound to lead you to thinking of the "end result," try not to get too bogged down with forward thinking. If you find yourself feeling anxious about the future, bring yourself back to the present and focus on where you are today. Gatherer: Perhaps one of the toughest weight-loss challenges for the Gatherer is recognizing when you're truly hungry and when you're merely eating to feel better. By following the GenoType Diet, you'll eventually start to feel better. But in the meantime, listen to your hunger and don't beat yourself up when the occasional slipup happens. It will get easier! Teacher: If you're feeling anxious or stressed about being perfect, Teacher, don't keep pushing yourself. Give yourself a break for meditation. Then focus on eating right and exercising to find balance again. The GenoType Diet is for your own benefit, so use it to your advantage! Explorer: It may be hard for you to eliminate caffeine from your diet, especially if you're a soda or coffee lover. But know that the sooner you kick the caffeine habit, the faster you'll feel better. If it's impossible right now, cut back slowly until you can be totally free of this Explorer Toxin. Warrior: Controlling your ratio of good to bad fats might cause some anxiety for you, Warrior. If you're used to eating large amounts of the "bad fats," making the switch can be tough. But once you develop a taste for healthy fats like the right oils, fish, and grains, you'll feel better and be more motivated than ever to keep up your GenoType Diet. Nomad: One of the most common things around — bread — is a problem for many Nomads. More precisely, the gluten in the bread can irritate your intestinal lining. So while getting used to limiting bread can be tough, know that once you do, you're going to see a tremendous improvement in your health. Just take it slowly, and eventually you'll be gluten-free and feeling great! Just as each GenoType has amazing strengths, each one has health risks to watch out for too. Learn what health problems you're at risk for, and see how you can reduce this risk by eating the right foods for your GenoType. Hunter: You already know that without the proper diet you're at risk for inflammatory diseases like asthma and allergies, Hunter. But did you know that by following the GenoType Diet and avoiding mold-containing foods, fungi, and simple sugars, you're helping soothe your intestinal lining and thus warding off inflammatory gut problems too? Count it as one more reason to stick with your GenoType Diet. Gatherer: Gatherers are at risk for high blood pressure, heart disease, and diabetes, but the risk of all three can be lessened if you maintain a healthy weight with the proper diet. Your GenoType Diet goes one step further in protecting you: When you avoid high-glycemic foods, your blood glucose and insulin levels stay in a healthy range. Teacher: Teachers face a high risk for breast cancer, especially later in life. And while Teachers rarely require hormone replacement therapy, you may discover that sensitivity needs to be restored to your own hormones. By following the GenoType Diet, you are ensuring that your anticancer defenses are on high alert, which may allow you to avoid any hormone-related therapy whatsoever. Explorer: Liver problems run in your GenoType, Explorer. But you can help your body clean up toxins by getting plenty of polysaccharide nutrients, which are found in the plant foods in your diet. You'll be promoting a healthy liver and bile ducts with this important detox component. Warrior: Rich sources of lignans (or phytoestrogens) like flaxseeds, sesame seeds, and fruit can help ward off a number of potential Warrior diseases. Breast and prostate cancer, osteoporosis, cardiovascular disease, and inflammation are just a few. Of course, your GenoType Diet is specially designed to steer you in the right disease-fighting direction. Nomad: The intense tiredness that Nomads are up against is caused for the most part by one disorder: hypoglycemia. But by sticking with the GenoType Diet, you are helping your body keep your blood sugar levels in an optimal range, which helps you avoid spikes in blood sugar and debilitating fatigue. Letting up on dietary restrictions is acceptable once your genes have been successfully reprogrammed by following the GenoType Diet for a period of time. But when you start feeling ill, it's time to once again closely adhere to your Superfoods list while avoiding Toxins. Here's what to do when you start to feel under the weather. Hunter: A Hunter's GenoType Diet is all about getting your immune system back in harmony. You can control your body's tendency toward inflammation by sticking to clearing foods that will lessen your reactive response to allergens and lectins. Stick to your high-protein, low-lectin GenoType Diet to get back in good health. Gatherer: While your immune system is quite strong, an impending sickness could signal that you're consuming too many man-made chemicals. Detox by sticking to your high-protein, low-glycemic GenoType Diet and your Gatherer resilience will kick in right away. Teacher: When Teachers stray from their GenoType Diet, the genes that typically suppress illness-causing genes are turned off. To reactivate them, simply stick to your plant-based, low-bacteria-overgrowth GenoType Diet. Your defenses will be returned to tip-top shape. Explorer: The Explorer's key to staying healthy is to maximize foods that nourish the blood and bone marrow while helping detoxify and cleanse. Just follow your nutrient-rich GenoType Diet for an optimal immune system. Warrior: You have an above-average recovery rate when you do get sick, Warrior. But avoiding sickness altogether is a cinch when you stick to your plant-based, high-photonutrient GenoType Diet. The high concentration of lignans will protect you from disease. Nomad: By closely following the Nomad GenoType Diet, you'll regulate and produce the ideal amount of nitric oxide. NO helps many systems in your body run smoothly. And with the right low-lectin, low-gluten diet, you'll keep all your body's systems in peak condition. Beans, nuts and seeds have been a great source of protein for humans since the beginning of the species. But just which vegetable proteins are best suited for you depends on your GenoType. Find out here. Hunter: Choose your vegetable proteins well, Hunter, and you'll be sure to get the right mix of amino acids and proteins needed for genetic improvement. Your array of vegetable protein Superfoods include: black, garbanzo and fava beans; flax, hemp and sesame seeds; and almonds, pecans and walnuts. Gatherer: Protein is the name of the game for Gatherers. And you have several excellent choices in vegetable proteins, including: almonds, butter beans, carob, pinole, lupin seeds, peas, pecans, pumpkin seeds and bakers yeast. Aim for a half cup of nuts and seeds or two tablespoons of nut butter up to seven times a week. Teacher: Since a Teacher's GenoType Diet is plant-based, it's important to get protein in non-meat forms. Up to ten times a week try to eat a half cup of nuts and seeds and two tablespoons of nut butters. A few Superfoods to emphasize are: almonds, almond butter, fava beans, carob, flaxseed, peanut butter, peas, pecans, safflower seeds and walnuts. Explorer: Some grains, nuts and seeds can interfere with an Explorer's detox function. In order to keep your detoxification genes in top shape, stick with vegetable protein Superfoods like butter beans, carob, pinole, great northern beans, green beans, lentils, macadamia nuts, peas, pinto beans and snap beans. Warrior: As a Warrior, you should enjoy at least two daily servings of vegetable proteins in order to reprogram your thrifty genes. Choose from several options, including: adzuki beans, almonds and almond butter, fava beans, flaxseeds, peanuts and peanut butter, pecans, pine nuts and walnuts. Every GenoType should emphasize certain types of fruits to gain the most benefit from their GenoType Diet. Here's a closer look at your specific fruit suggestions. Hunter: An apple a day will not keep the doctor away for you, Hunter. Apples, along with apricots, cherries, figs, grapes, and plums, are Hunter Toxins. Instead, aim for at least one cup daily of fruits like canistel, cranberry, date, grapefruit, lingonberry, mango, passion fruit, pear, pineapple, and watermelon. Gatherer: For Gatherers, favorites like peaches, plums, and nectarines make great fruit noshes. While raspberries, elderberries, and gooseberries are among your Superfoods, other berries like blueberries and strawberries are among your Toxins — so learn to replace these common berries with those from your Superfoods list. Teacher: A Teacher's fruit recommendations range widely from typical (blueberry, grapefruit, nectarine, and raspberry) to exotic (durian, goji berry, mamey sapote, and pawpaw). And since your GenoType Diet focuses on phytonutrients, make the most of all your options! Explorer: Açai berry, breadfruit, cranberry, currants, elderberry, gooseberry, guava, lingonberry, pawpaw, Persian melon, pummelo, quince, raspberry, and rowan berry are all highlighted as Explorer Superfood fruits to emphasize. Look to the book for the complete list — it's extensive! Nomad: Say yes to melons, Nomad, in the form of cantaloupe, musk melon, Persian melon, Spanish melon, and watermelon. Strawberries, raspberries, and blueberries are other Superfood fruits to emphasize. Through intense statistical analysis, Dr. D'Adamo identified six GenoTypes based on how genes and physical traits are known to cluster together. And by following the customized diet and exercise plan created for your GenoType — you'll be maximizing your efforts and results. The book on GenoType Diet is now released! Please email us at sales@healthyharvest.com.sg or call us at 63965570 if you wish to make an order. Healthy Harvest is listed in the Singapore Book of Records 2007(Page 72) as the 1st company in Singapore to introduce and promote health products based on individual's blood type. World 1st Blood Type Store Opening In Singapore! The World 1st Blood Type retail outlet has finally come nearer to you in the heart of our Central Business District area in Singapore! We are located at #01-29 Golden Shoe Carpark. Stop at Raffles Place MRT and out through Exit B. This will be the 1st concept store in the world which merchandise blood type specific supplements, food, beverages as well as organic skin care products catering to each individual needs. Every product here is Right For Your Type as we believe every one is different and needs to be cared for as an individual. Call us at +65-63965570 to find out more! Special Editorial on U-Weekly ! What is the blood type diet? How does our blood type affect the food we eat? At a glance what food types/groups should each blood type consume and avoid with special mention on celebrity devotees of the blood type diet. A short interview with Dr Sundardas, clinical director of Natural Therapies Pte Ltd and avid blood type dieter Judy Lim. Dr Sundardas outlined the blood type diet and explained the genetic makeup of the different blood groups and the effects of different food types on each blood group. A very intimate, in-depth and extensive interview with the founder of North American Pharmacal and writer of New York Best Seller Dr D’Adamo on the fundamentals of the blood type diet, and the common misgivings that the scientific ommunity and the general public have about it.